Last Day on Earth – Everything you need to know about the Rest Stop Event. The Rest Stop event in Last Day on Earth: Survival is a limited time event that spawns every 36 hours and is only accessible using the Chopper. There are 4 different scenarios that you can encounter once you enter the zone. These different scenarios usually contain 3 – 4 places for you to loot, depending on the scenario that you get. You are also able to siphon off gas from the enemies choppers using empty bottles. You can expect to get at least one gun, one melee weapon, one weapon crate, one piece of armour and other miscellaneous items from completing these events, so doing the event whenever you can is definitely worth it. 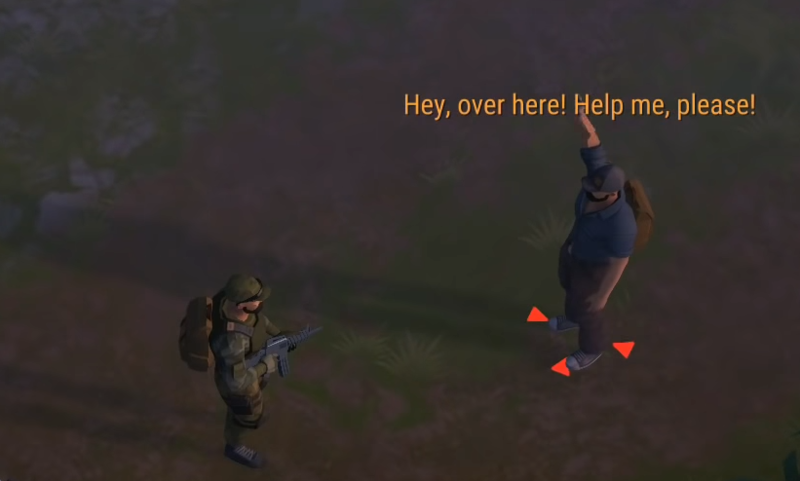 This scenario starts off with an NPC asking you for help. After running for a few seconds he will ask you to keep up as he is running out of time. He will then stop at an area with two other NPCs and say “Goodbye” The NPCs will then turn aggressive. Two of the enemies are armed with guns while the other one is armed with a baseball bat. After you kill the enemies you are free to loot the two choppers and the bag on the ground. This scenario starts off exactly the same as the Ambush scenario. However, this time, the NPCs are actually in trouble. Follow the NPC and he will take you to an area where two other NPCs are fighting a horde of zombies. You can either choose to intervene and help them fight off the horde, or just stand back and watch as the horde slowly whittles their health down. Once the three survivors and the horde have been taken care of, you are free to loot the area. Alternatively, if you don’t want to fight the horde of zombies you can lure them to the other side of the map and run back to loot the choppers. When you enter the zone you’ll notice all the deer roaming around the map, walk forward a few steps and you’ll see three NPCs surrounding a campfire with their choppers. 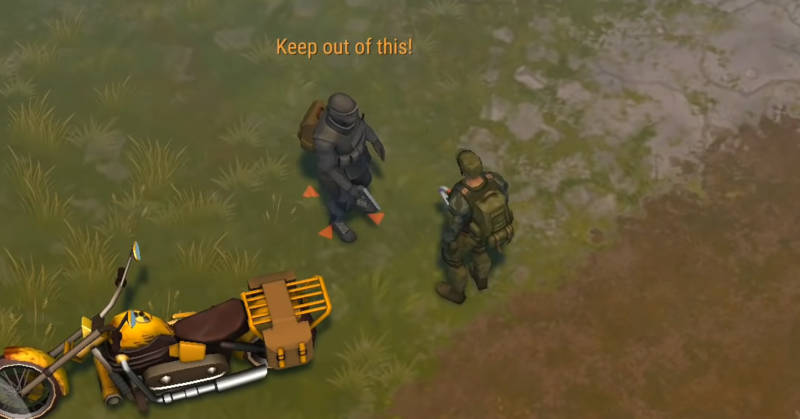 Two of them are armed with guns and one is armed with a skull crusher, you can choose to attack them first or clear the zone of the deer first before engaging them. This is the last of the four scenarios. Once you enter the zone walk downwards a few steps and you will see an NPC taking someone hostage. Make sure to stay far away from them as they will kill the hostage and engage in a firefight with another NPC. Once they are done with that they’ll turn to you and start shooting. Kill all of the enemies and you will be able to loot the two suitcases on the ground, the truck and the chopper. Full set of Tactical Armour, does not need to be full durability. One Gun, 50% durability or below. One stack of healing items, Carrot Stew or Jerky is fine. Why these items? Well, these enemies are armed to the teeth. Most of them are always fully armoured and are carrying guns, so you don’t want to skimp on your armour or weapons and risk getting killed. We don’t want that to happen right? Thank-you for reading, as always leave any comments down below and let us know what you wish to see covered next.